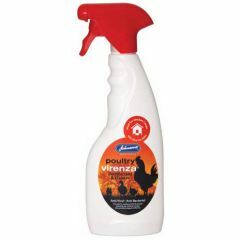 Johnson's Virenza Poultry Disinfectant is an effective disinfectant spray that helps to keep your poultry coop hygienically clean. 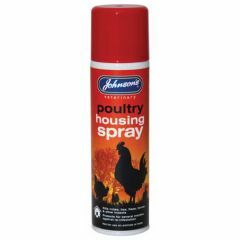 Johnson's Poultry Housing Spray is a HSE approved licensed product to kill mites, lice, fleas, larvae and other insects. It protects for several months against re-infestation. 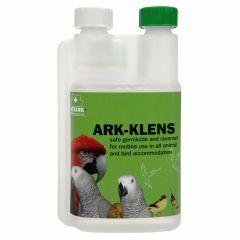 Ark-Klens is a safe germicide and cleanser for routine use in all animal and bird equipment. Recommended against E.coli, Salmonella, psittacosis and flu viruses. Johnson's Virenza Poultry Disinfectant Spray is an effective disinfectant spray that helps to keep your poultry coop hygienically clean.